Sign up to be a member here! The University of Manitoba Supply Chain Organization (UMSCO) is also the APICS Winnipeg Student Chapter. Our main purpose is to provide information, resources, and networking opportunities to those majoring in Logistics & Supply Chain Management and to individuals interested in the field. Our goal is to help bridge the connection between companies and students looking for career options within the supply chain field. UMSCO is well-known for our supportive community, which is made up of undergraduate and graduate students. We have been receiving tremendous support from the supply chain department and many top companies in Winnipeg. 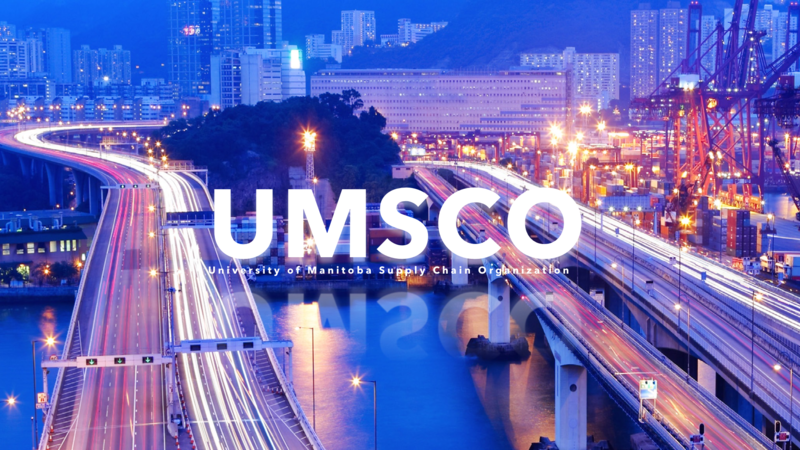 What are the benefits of joining UMSCO? UMSCO invites one to two companies to attend our monthly member meetings where they have the chance to educate students on the operations of their company as well as career opportunities for prospective students. UMSCO hosts an annual Meet and Greet every year, which is the largest networking event for students majoring in Logistics & Supply Chain Management. It is an evening spent with representatives from companies highly involved in the Supply Chain field. In the past, students have been highly successful making connections for their future careers. This academic year on October 12th, we are excited to organize the Second Annual UMSCO Case Competition at the I.H. Asper School of Business. Nine teams of three students will get the opportunity to develop their critical thinking and presentation skills in front of industry professionals. As well, cash prizes will be awarded to the top three teams. The Supply Chain major is becoming very popular in Winnipeg! There is so much interest that the department has added 10 new Supply Chain courses! UMSCO is your way of getting a foot in the door to industry leaders in this field and your chance to connect academics with real world scenarios.